What to Do if Your Cat Has Skin Mites? 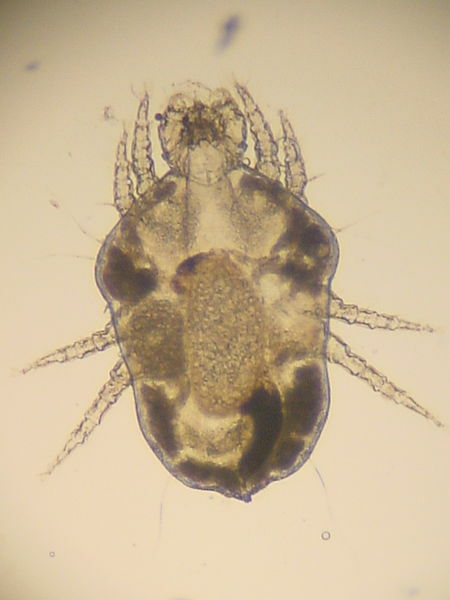 Cheyletiella mites are highly contagious skin parasites that are more likely if you have other pets or your cat is in contact with animals elsewhere. Even after treatment it is possible for your cat to become re-infested if their bedding and your home are not properly decontaminated, so thorough treatment of their living environment is essential. Although the small yellow mites are not always visible, signs that your cat has these mites are scratching excessively, skin flakes and scales, and hair loss. Your vet will usually want to confirm the infestation and will take a small skin sample to look for evidence of the parasite. When Cheyletiella mites are diagnosed your vet will advise on a suitable treatment, but it is important that you treat all other animals in your home, as they too may have the infection. For long-haired breeds your vet may recommend trimming their coat to increase the effectiveness of treatment. If you are interested in natural treatments, items such as apple cider vinegar, honey and olive oil can all help to relieve irritation, but you should always seek veterinarian advice before applying these. Cleaning all pet bedding, beds and any other soft fabrics they use such as cushions and rugs. Disinfecting your cat’s brushes and combs using a pet-friendly solution. Replacing their collar and possibly items such as bedding with a heavy or persistent infestation.